Just in time for Outdoor Drinking Season (capitalized because of its importance), here’s the iFlask. This $25 iPhone lookalike’s only app is the ability to make you drunk. Phone calls? Nope. E-mail? Who needs it? Internet? Inner-wet… with booze. 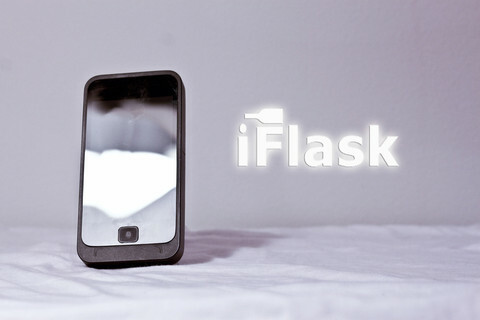 Though not at all the first iPhone-style flask on the market, the iFlask looks to fancy things up a bit: It holds five ounces of your favorite libation, features a polycarbonate and stainless steel frame, and ships with a collapsible funnel.